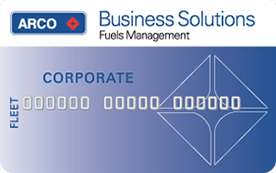 With an ARCO fleet gas card, the business philosophy is simple: High volume equals low cost. By operating this way, we can offer you savings at the gas pump, which directly affects your bottom line. *What is TOP TIER™ Gas? To learn more, visit toptiergas.com. Average savings based on March 2017 - March 2018 Lundberg Price Survey weighted average industry street price among major brands for all three gasoline grades in the following marketing areas: Los Angeles, San Diego, Phoenix, Las Vegas, Reno, Bakersfield, Fresno, Seattle, Portland, Eugene, Sacramento, Stockton, and San Francisco.